Children born out of wedlock may face difficulties when making claims on estates that they feel they have an interest in. Where parentage is an issue, establishing paternity is thought of as a family law issue, but paying attention to these issues can have serious probate and estate consequences as well. A child born out of wedlock is entitled to file a paternity action to determine who their biological father may be. In cases where a father and child accept the fact that the child is that of the father, Florida law has an expedited process, and there are no issues. But sometimes, a father doesn’t know or agree that a child is his. If that’s the case, it’s very likely that the father won’t be including the putative child (the child born out of wedlock) in any estate documents. Additionally, should the father pass away and any part of his estate have to be distributed by a court per Florida law, the putative child may be left with nothing, having never had a determination that the deceased was, in fact, the father. There used to be a four-year time limit (four years after the child reaches the age of majority) on how long someone had to request a court determine paternity. In 2009, the statute was amended to do away with that time limit in probate cases (it still applies with regard to family law issues). 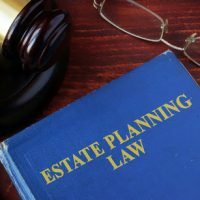 Thus, someone seeking a paternity determination for the purpose of making a claim on an estate of someone who dies intestate won’t have a time bar to assert paternity. There is a big catch, however—a recent case has just been decided, holding that the 2009 change to the statute is not retroactive. Practically, that means if someone became an adult, and four years expired before 2009, that person is likely barred by time limitations from establishing paternity. For those individuals who may have been born out of wedlock to fathers who do acknowledge paternity, it makes it vitally important that the father include whatever he intends to leave to his putative children in a written will or trust or other estate document, because if that father passes, and there are no written documents, the putative child may have no recourse. Alternatively, the putative father or the child can file an action to determine paternity even after the time limitation expires, if they both agree—time limitations can be waived by parties to an action. Of course, for those born out of wedlock who became an adult after 2009, they should still try to obtain a paternity determination, but can do so, even if it has been more than four years since they became an adult. This will preserve their right to inherit estate proceeds, should a court have to determine who gets what. Don’t wait until the last minute. Contact Tampa business attorney David Toback to discuss a comprehensive will and estate plan for your family.